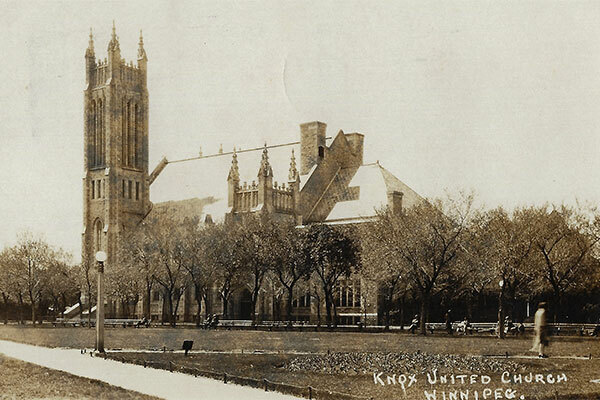 The first Knox Presbyterian Church, built in 1868, was located at the corner of Fort Street and Portage Avenue. 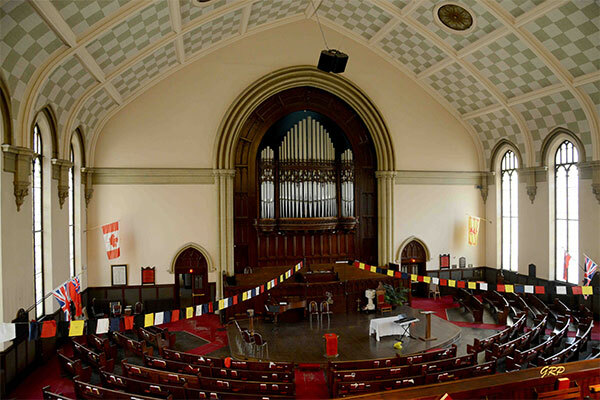 The second Knox Presbyterian Church was located at the intersection of Princess Street and Ellice Avenue. 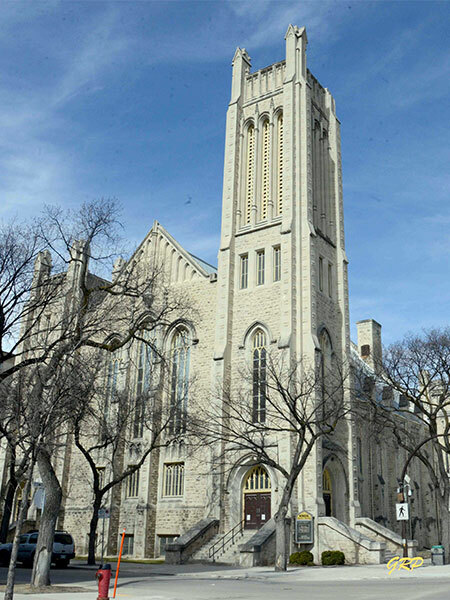 The present-day church was constructed at 400 Edmonton Street between 1914 and 1918 on a design by Winnipeg architect J. H. G. Russell. In 1993, a plaque was erected at the site by the Manitoba Heritage Council. 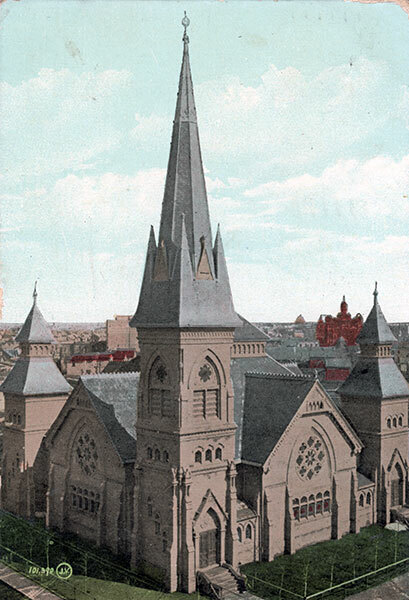 On 28 May 2010, a lightning strike broke off one of the four spires from the church’s tower. 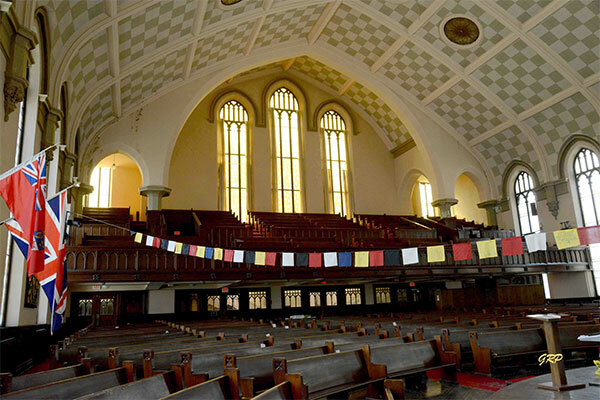 Knox United Church, Manitoba Historic Resources Branch. “Lightning strike knocks off piece of Knox United tower,” Winnipeg Free Press, 28 May 2010. We thank Rob McInnes and George Penner for providing additional information used here.